2. “If a man does not know what harbor he is making for, no wind is the right wind” – Seneca. 3. Two ways to avoid suffering: 1) recognize that you are doing this to yourself – understand how and why – and stop doing suffering to yourself, or 2) stop identifying with anything that suffers because that is not who/what you are in reality. You will find that you cannot do one without doing the other. 4. Immersing our self in the essence of Life does not require attaching our self to circumstances. 5. 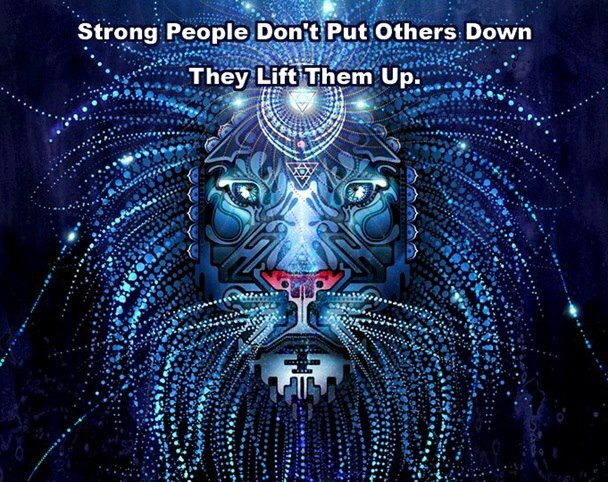 Strong people don’t put others down. They life them up.